Shaanxi Pure source Bio-Tech Co.,Ltd. 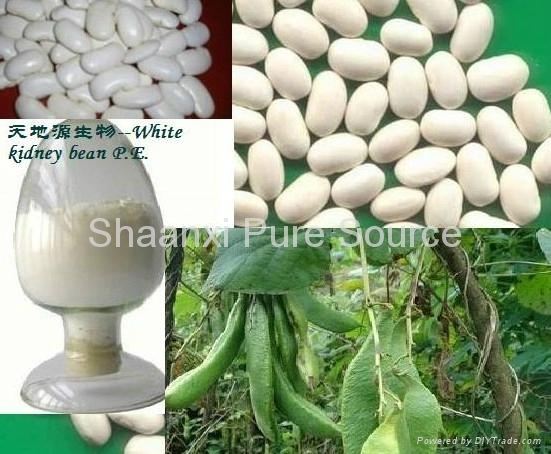 Product Name White kidney bean P.E. 1. Many studies have shown that White Kidney Bean interrupts the digestive process that converts starch to sugar, thus lessening the caloric intake from foods such as bread and rice. 2. By reducing the absorption of these sugars, the body has fewer calories to store as fat. White Kidney Bean can be a very effective supplement for dieters and those interested in maintaining a healthy physique.